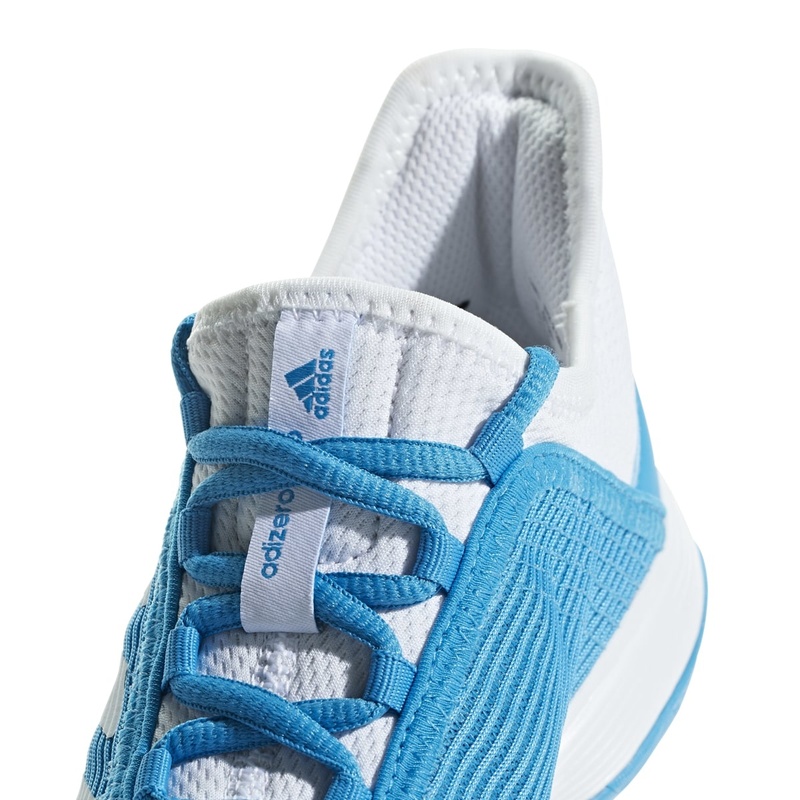 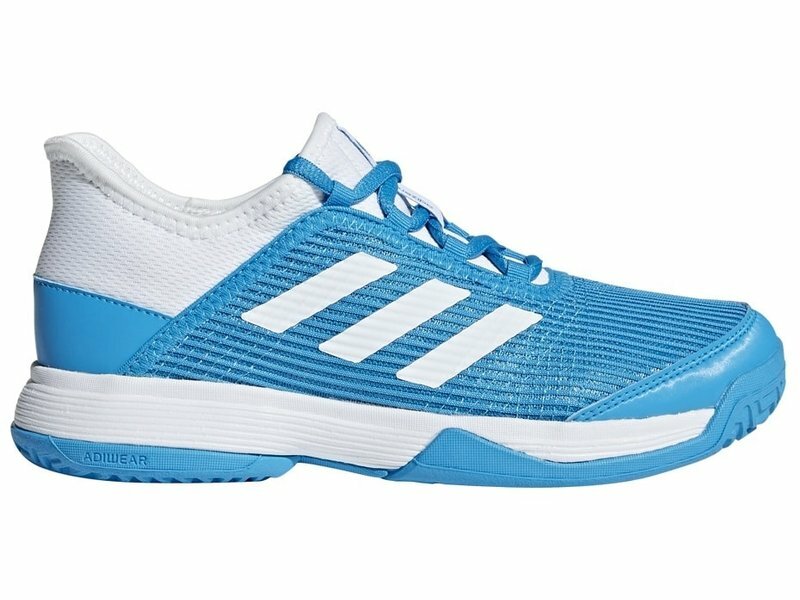 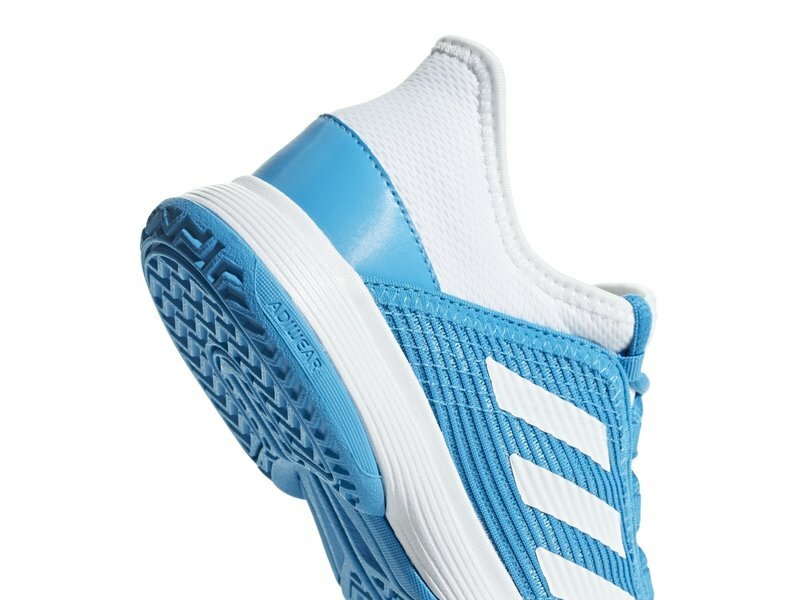 The adizero Club K junior tennis shoe in Blue and White are lightweight, breathable and comfortable tennis shoes perfect for kids of any level. 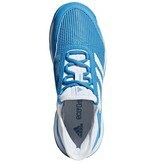 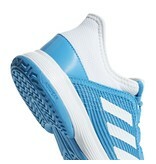 Fashioned and engineered after the adult adizero line, the Club K shoes come with a breathable overlay. 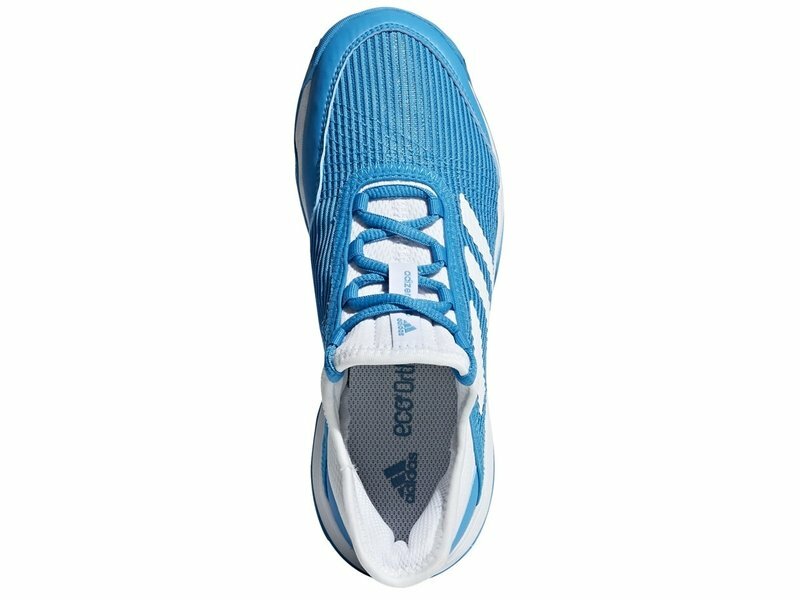 This breathable and supportive overlay offers extra stability and foot security. 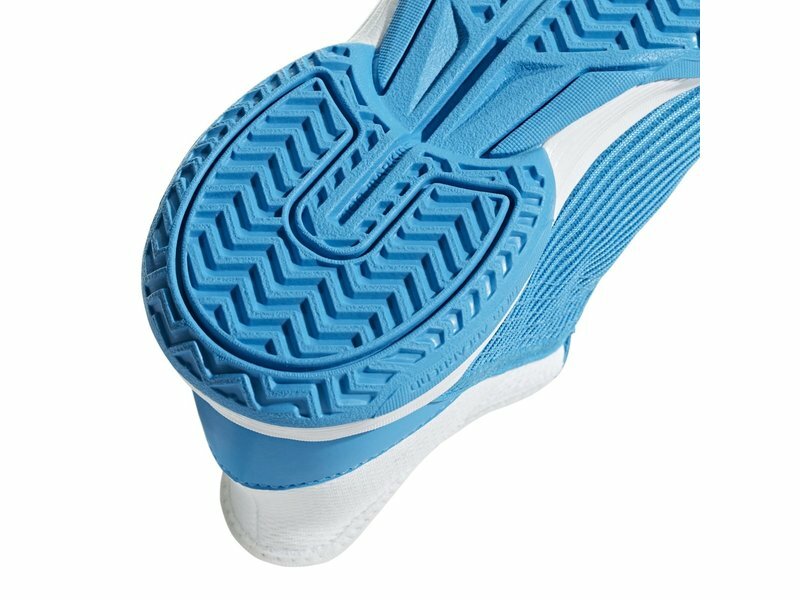 The non-marking rubber outsole is built to last on any court surface. 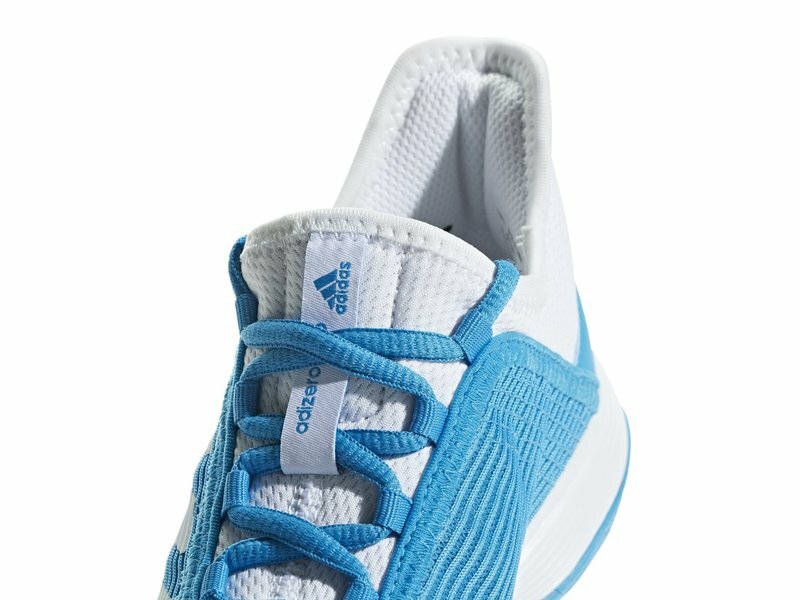 The outsole comes with a traditional herringbone tread pattern for maximum traction. 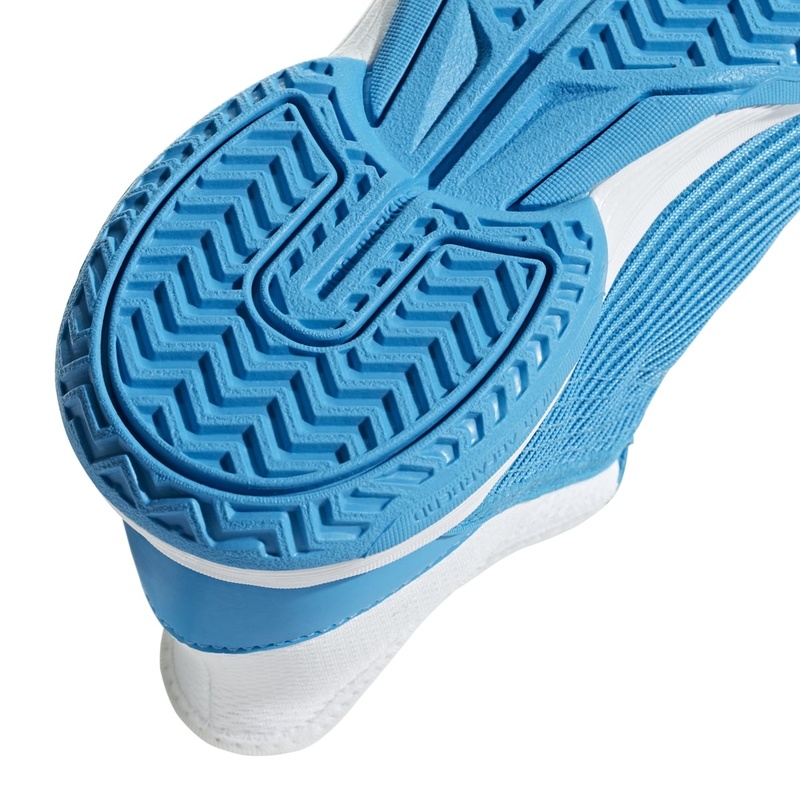 The Club K will take any junior to their limit and beyond. 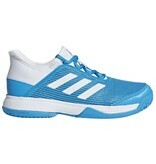 Upper: Climacool mesh and synthetic overlays. 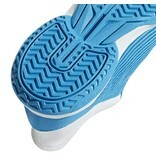 Midsole: Adituff toe guard for added durability. 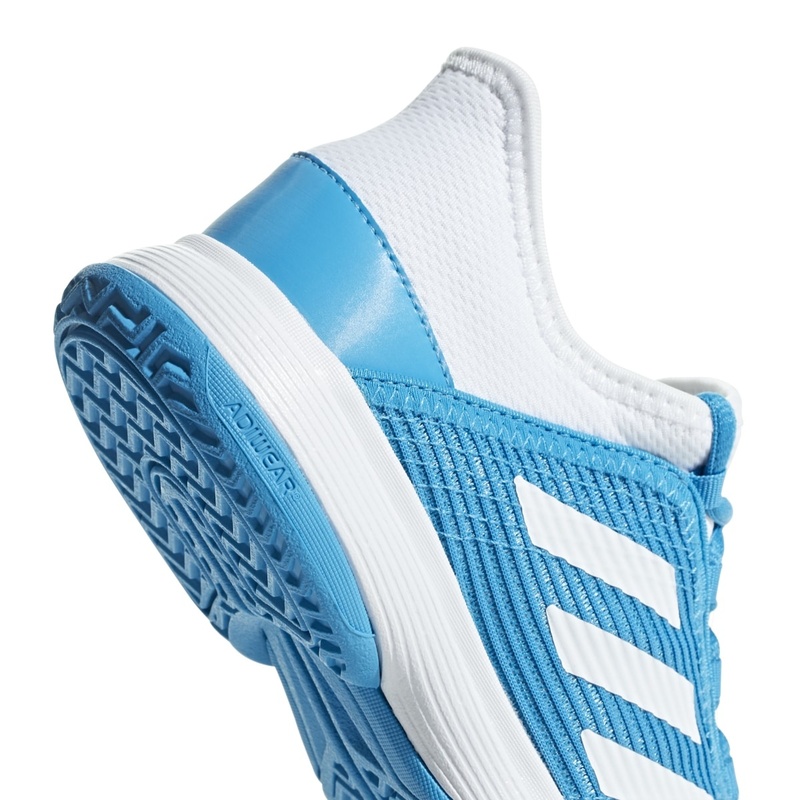 Sprintframe shoe chassis construction keeps your feet stable and secure during intense play.